A.J. 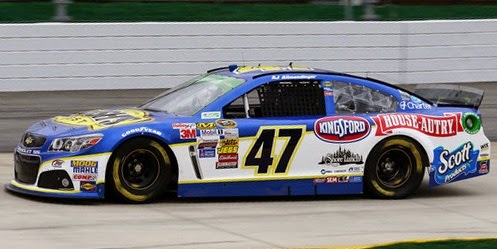 Allmendinger picked up the 6th last-place finish of his NASCAR Sprint Cup Series career in Sunday’s STP 500 at the Martinsville Speedway when his #47 Bush’s Beans Chevrolet fell out with an oil leak after he completed 177 of the race’s 500 laps. The finish was Allmendinger’s first of the season and came in his 233rd career Cup start. It is his first in 24 races, dating back to his #47 Scott Products Chevrolet was involved in a massive pileup after 19 laps of the Coke Zero 400 at Daytona. 2014 was a big year for Allmendinger. In his first full Cup season since 2011, he scored his first career victory at Watkins Glen, earning him a Chase berth and a career-best 13th in points. The JTG-Daugherty team, now with its own maiden victory, looked to build on this momentum by running conservatively during Daytona SpeedWeeks, not running their #47 unless completely necessary. Unfortunately, the team still found trouble in the Budweiser Duels, where he crashed with Johnny Sauter and Aric Almirola near the halfway mark. Despite the setback, Allmendinger willed his backup car from the 40th starting spot to 20th at the finish. Over the next three races, he then came home 7th at Atlanta, 6th at Las Vegas, and 17th at Phoenix, jumping him to 5th in the point standings. 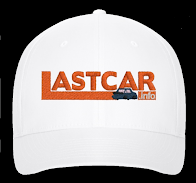 Last week at Fontana, a dropped cylinder left Allmendinger 34th at the finish, but he only dropped to 11th in the season standings. When the series arrived at Martinsville, Allmendinger was again behind the wheel of another strong car. He turned in the 2nd-fastest time in the opening practice, trailing only eventual outside-polesitter Ryan Newman, and not only made it to the final round of qualifying, but secured the 10th starting spot with an average speed of 97.262 mph. Though only 14th and 17th in Saturday’s two practices, the car was still in one piece on a weekend that saw two other drivers crash and another break a transmission in qualifying alone. Starting 43rd on Sunday was the #83 Dr. Pepper Toyota of rookie Matt DiBenedetto, who had just mended fences with Tony Stewart after an incident in practice. He held the spot until Lap 12, when Trevor Bayne brought out the first caution after a cut right-rear tire sent him spinning through turn two. 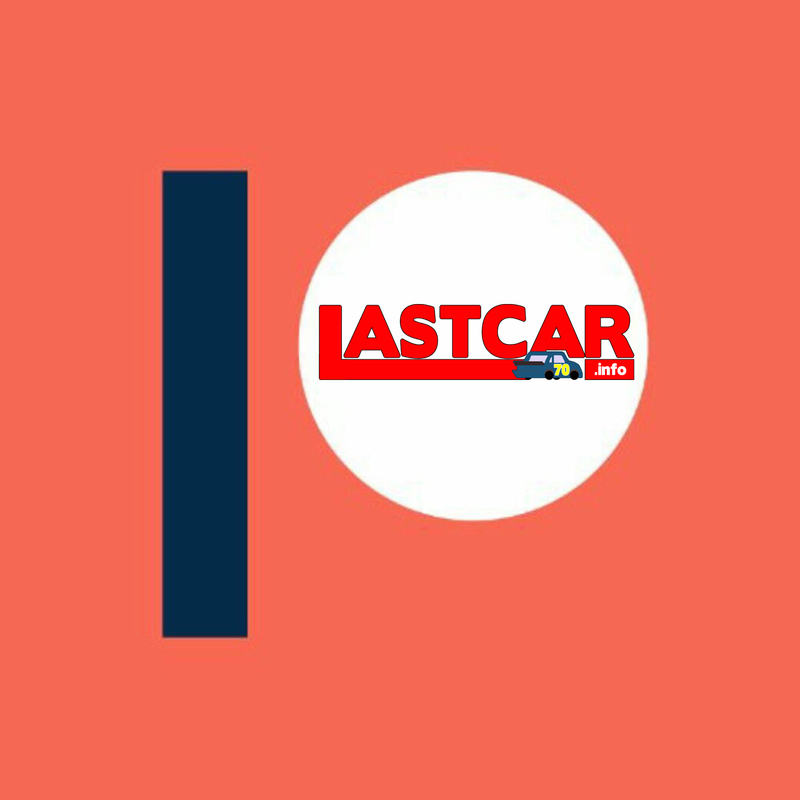 DiBenedetto retook the spot on the Lap 17 restart, but 6 circuits later was passed by another spinning Roush-Fenway Ford - the #17 Fastenal machine of Ricky Stenhouse, Jr. Following the Lap 27 restart, DiBenedetto’s BK Racing teammates both took turns in 43rd. Jeb Burton’s #26 Maxim Fantasy Sports Toyota snagged an air hose during a yellow-flag pit stop and was the first driver in the race to lose a lap. On Lap 55, 39th-place J.J. Yeley had just lost a lap to Joey Logano and was running on the high side 2nd-place Denny Hamlin in Turn 1 when his #23 American Cancer Society / Cancer.org Toyota cut down a tire and slammed the outside wall. When the race went green on Lap 61, Chase Elliott, making his Sprint Cup debut in Hendrick Motorsports’ #25 NAPA Chevrolet, rear-ended the #55 Aaron’s Toyota of Brett Moffitt, the ensuing chain-reaction causing extensive damage to both cars. Moffitt made it to pit road first, the crew removing the car’s destroyed hood before he returned to the track on Lap 69. Elliott, however, remained on track, trailing smoke until the caution fell for debris on Lap 74. Moffitt lost 4 laps for his repairs, taking last from Yeley, but when Elliott pulled behind the wall under the Lap 74 yellow, the Hendrick team discovered they had more work to do. Elliott took 43rd on Lap 78 and held the spot for most of the afternoon. If he stayed there, it would’ve been the first last-place finish by the #25 since Brian Vickers’ 2006 run at the spring race at Texas and the first for an Elliott in Cup since the February race at Fontana in 2005. However, Elliott’s crew got him back on track on Lap 145, 69 circuits behind the leaders. Running 42nd, also double-digit laps down by this point, was Las Vegas last-placer Alex Bowman, whose #7 NIKKO / Toy State Chevrolet lost 13 laps for mechanical issues. Not long after Elliott and Bowman returned to the race, Allmendinger reported smoke in the cockpit of his #47. Running on the lead lap at the time, he tried to stay out as long as he could, but the smoke only grew worse, pouring out of the rear of the car and the wheel wells. On Lap 177, he pulled behind the wall. Though FOX Sports 1’s leaderboard listed the #47 as “OFF” for most of the race, the car never returned to competition. On Lap 229, he slipped behind Bowman for 42nd, then took last from Elliott on Lap 247. Bowman and Elliott finished 37th and 38th, respectively, as a total of 16 cautions sent several drivers to the Bottom Five. Despite all the attrition, the only driver joining Allmendinger as a DNF was 41st-place Austin Dillon, whose #3 Cheerios Chevrolet also started smoking in the closing stages. The electrical issues that sidelined Dillon gave him just the 2nd DNF of his 55-race Cup career. 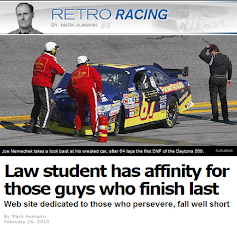 The first was his last-lap crash out of 2nd in the Talladega race on October 20, 2013. 42nd went to Justin Allgaier, who was sent to a backup car after his #51 Fraternal Order of Eagles / Switch Hitch Chevrolet smacked the wall in Turn 3 during the second round of qualifying. Allgaier crashed twice more in the race - first in a multi-car pileup on Lap 229 and by himself on Lap 270. He pitted twice in the final green-flag run, but still finished under power in 42nd, 172 laps down. 40th went to Ricky Stenhouse, Jr., who after his Lap 23 spin was involved in two more cautions - a spin on Lap 165 and a crash on Lap 207. Though left without much of the car’s right-side sheetmetal, Stenhouse came home 136 laps behind the leaders. Rounding out the Bottom Five was 39th-place Michael Annett, who after racing his #46 Pilot / Flying J Chevrolet in the Top 20 lost control while racing Joey Logano through Turns 1 and 2. The spin was followed by two more costly accidents that gradually dropped him through the field. On Lap 287, Annett was bumped by Trevor Bayne entering Turn 3, and he hopped the grass curb at the entrance to pit road in what became a five-car wreck. He wrecked a third time on Lap 357 when he caught the wall in Turn 1. Despite this, Annett still finished under power, 111 laps in arrears. 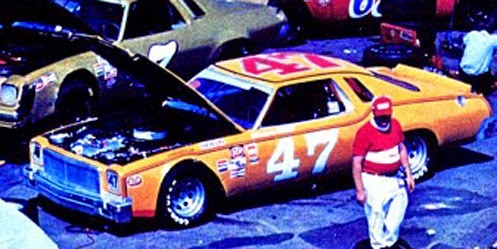 *This marks the first last-place finish for the #47 in a Cup race at Martinsville since September 26, 1976, when Bruce Hill’s unsponsored Hill Racing Chevrolet overheated after 37 laps of the rain-shortened Old Dominion 500. The finish was the 3rd of Hill’s career and his 2nd in a row. Hill, a longtime owner-driver from Topeka, Kansas, finished last 9 times in 100 Cup starts from 1974 through 1981. 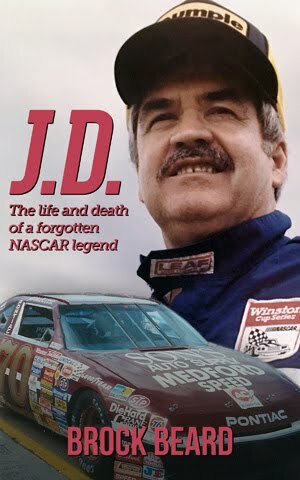 His best career finish was 5th, which he earned three times in 1975 at Dover, Darlington, and Rockingham. *This marks the first time a Cup Series driver finished last due to an oil leak since August 24, 1996, when Geoffrey Bodine’s #7 QVC Ford started 12th, but spun out twice and exited after 206 laps of the Goody’s Headache Powder 500 at Bristol. Two weeks earlier at Watkins Glen, the 47-year-old Bodine had scored the 18th and final of his Cup Series wins. *This is also the first time a Cup Series driver finished last at Martinsville due to an oil leak since April 24, 1983, when Morgan Shepherd’s #01 Zervakis Racing Buick fell out after 8 laps of the Virginia National Bank 500. It was Shepherd’s first of 18 last-place finishes in his Cup Series career of 517 races - and counting.